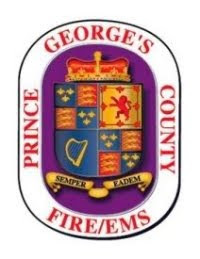 Prince George’s County Firefighters battled four structure fires within an 8-hour period on Tuesday. The fires caused significant damage to two occupied homes, displaced four occupants and injured two firefighters. The string of home fires started at around 3:30 pm, Tuesday, March 13 when firefighters from the Clinton area were alerted to a house fire in the 6100 block of Willow Way. Firefighters from Clinton Fire/EMS Station 825 were the first to arrive finding a 2-story single family home with fire showing from the top floor and roof area. During the interior search for occupants and fire suppression a partial roof collapse occurred injuring two firefighters. The fire was brought under control within 25 minutes of arrival. No one was home at the time of the fire. Two adult occupants were displaced and assisted by the American Red Cross. Fire loss is estimated at $150,000. The cause and origin of this fire is undetermined and remains under investigation. Two firefighters sustained burn injuries and were transported by medics to the Burn Unit at Medstar Washington Hospital Center. One firefighter was treated and released. The other injured firefighter suffered serious burn injuries including 2nd and 3rd degree burns to a large area of his body. Fortunately his airway remained protected and was not burned. He has been admitted and will remain in the Burn Unit for several days. The second fire occurred just after 6:00 pm in the 200 block of North Huron Drive in Oxon Hill. Firefighters arrived to find a vacant 2-story house with smoke coming from the 2nd floor. Firefighters extinguished the fire shortly after arrival. Fire Investigators determined an unknown person set a fire in a bedroom on the 2nd floor. The cause of this fire is incendiary and remains under investigation. At around 8:40 pm firefighters from the Accokeek area were alerted to a fire in the basement of a 1-story, with basement, single-family home in the 14600 block of Cactus Hill Road. Firefighters arrived and discovered a working fire with both occupants having escaped thanks to a working smoke alarm. This area is not protected by a water hydrant system and firefighters had to rely on water tankers to shuttle water back and forth to the scene. Firefighters initially used what water they had on their engines in an attempt to extinguish the fire, however, the fire had grown in intensity and was rapidly extending to the floor above forcing firefighters to evacuate and await a established water supply. The fire was extinguished after 1 hour of arrival. The fire loss is estimated at $200,000. No injuries were reported. The American Red Cross assisted the two adult displaced residents. The cause and origin of this fire is undetermined and remains under investigation. At About 11:15 pm firefighters were alerted to a vacant structure fire at the corner of Bock Road and Livingston Road in Oxon Hill. Firefighters arrived to find a 2-story vacant structure with fire throughout. Firefighters battled the blaze from exterior positions and had the fire extinguished within 30 minutes of arrival. No injuries were reported. Incident Commanders determined the fire was incendiary. Firefighters from Charles County, Alexandria and Fairfax assisted Prince George’s County firefighters on these incidents. No information is currently available to link the two arson fires. Anyone with information about the arson fires on North Huron Drive and Bock Road in Oxon Hill are asked to call our Arson Hot Line at 301-77-ARSON (301-772-7766). Callers can remain anonymous.